Did you know that your blood has a pH level? pH is the measurement of how acid or alkaline something is. The pH level scale runs from 1 to 14 with 1 serving as very acidic 7 being neutral and 14 being very alkaline. In fact your bloodstream goes to great lengths to maintain a pH level of 7.35 to 7.45, slightly alkaline. Why is this important? Among many reasons why your body strives for this balance starts with your energy level. The pH miracle diet will help balance your body and increase your energy. It all starts in the bloodstream. Think of the bloodstream as a superhighway with stops all over the body. Red blood cells are the commuting traffic riding along the bloodstream in a hurry to get to work. These red blood cells each have a negative charge on them, and this keeps them from getting into fender benders and collisions in the bloodstream. When the negative charge is stripped away from the red blood cells, they cluster together and can cause gridlock and bottlenecks in the bloodstream. In short, the traffic in the bloodstream isnt flowing as smoothly and it causes everything to slow down. If youve ever been stuck in freeway traffic you know how frustrating this is. What does your body do with all of the acidic waste it cant get rid off? The answer is quite shocking, it stores it in your body! The cells in your body are mostly alkaline and this acid waste starts to attack and destroy these cells. A lot of energy is expelled keeping the waste from doing detrimental damage to your body, but this fight can only go on for so long. Eventually the build up is so great that the cells deteriorate and cause energy depletion and leaves the body open to disease. How can you avoid this slow death? A higher energy level helps to fend off opportunistic diseases and ensures strong cellular regeneration. Making changes to your diet is a huge step in reversing this breakdown of your body while boosting your energy level. The choices you make in what you eat will greatly determine how much of this acidic waste gets stored in your body. The more alkaline your food choices are the less of this waste will be accumulated in your body, tipping the balance in the favor of good health. The old adage you are what you eat is absolutely true. By controlling the amounts of alkaline food you ingest you are giving your body a fighting chance. 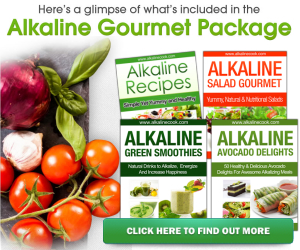 Find books and lists that outline which foods are alkaline and which ones are acidic. By limiting your intake of acidic foods and increasing your intake of alkaline food with the pH miracle diet you can increase your stamina, endurance, and the overall performance of your body machine.